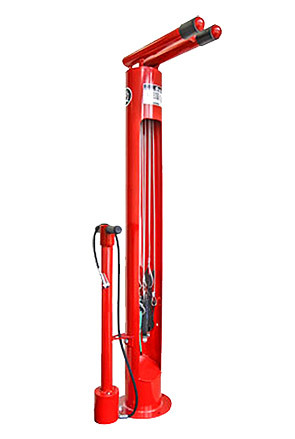 Designed for the convenience and to promote safety for cyclists everywhere, the comprehensive FixIt Bike Repair Station with Air Kit 2 pump makes performing routine bike maintenance or repairs all the easier. The all-steel FixIt features innovative hanger arms that provide more support and space to access the bike parts, Air Kit Pump and various attached tools. 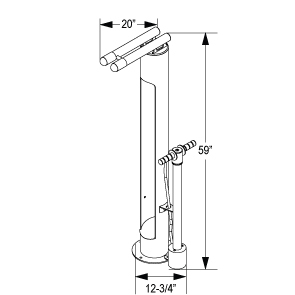 Air Kit 2 is able to be mounted on either side of the FixIt and constructed with schedule 40, 1-1/2" O.D. steel pipe, a reinforced rubber, wire mesh air hose. To help ensure easy use and safety, the magnetic pump head simply attaches to the Air Kit body. Great for high volume bike paths and urban transit areas, the highly durable FixIt with Air Kit 2 is the perfect installation to help promote ridership friendly communities.